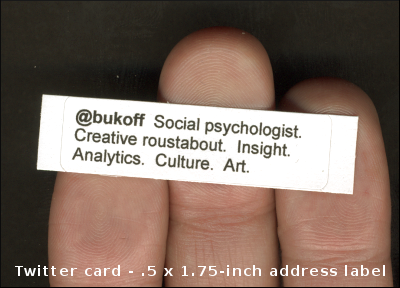 Twitter "business" card I created and handed out at a "Tweet-Up" (dumb name for a meeting organized via Twitter). 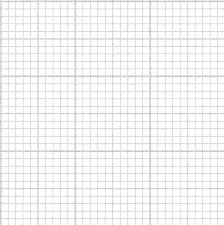 The hallmark of Twitter is that it allows you to send only very short messages (140 characters or less). 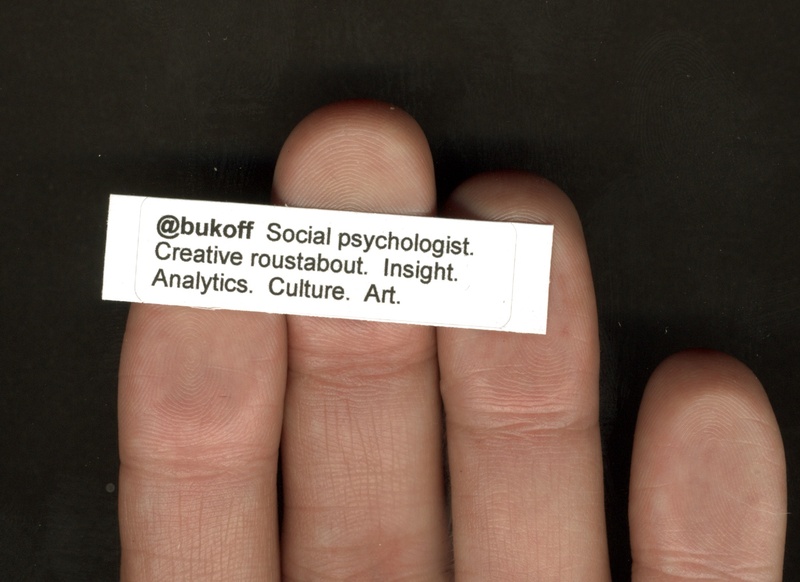 I used a small return-address label to represent a twitter-like message window and added my Twitter name (@bukoff) and my public bio on Twitter. General consensus was that this was a clever format. Also liked peel-and-stick feature as it mimics the light "stickiness" of the Twitter medium. A few people--including me--stuck these on their shirts or folders. Making these is an easy trick using mailing label paper and an ink-jet printer.